Spires and moons outfit hidden worlds with a depth of bells and the sea scored with bombast, coruscating glyphs infuse a chalice and the souls of men spill forth. 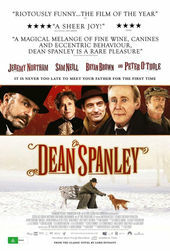 The brief for the project was to produce opening film titles reflecting the quirky quality of the movie itself which features strong performance from Peter O’Toole and Sam Neil amongst others. The graphic style draws its influence from Victorian art and crafts, Indian paisley designs and William Morris wood block prints. 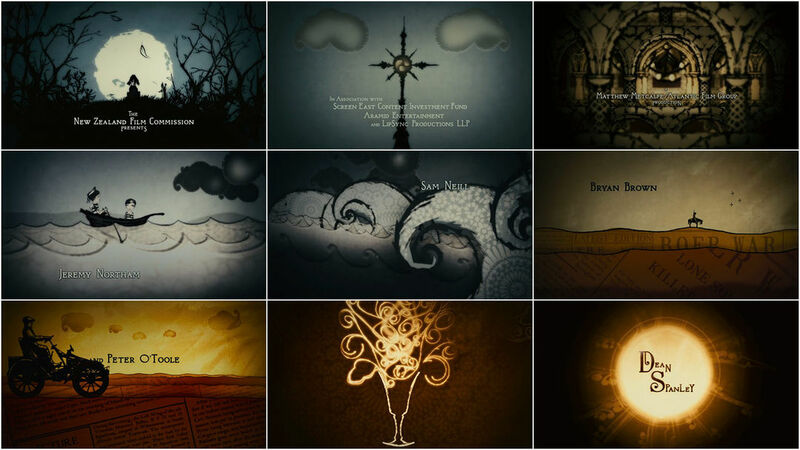 All of these elements were carefully considered and adapted in order to make this title sequence unique. After the initial design discussions with Director Toa Fraser and Editor, Chris Plummer, LipSync’s Howard Watkins created the animatic which became the basis of the sequence. Every element was hand drawn by artist Jason Dickinson, these were then scanned in at a high resolution and prepared in Illustrator in order to be then animated in After Effects by Peter Dickinson. For the typography, a William Morris style font was created and animated by Julia Hall.